Mixy is the #1 worldwide interracial dating app for people of all mixed races, including Black, White, Hispanic/Latino, Asian, mixed-and even more. It is also an easy and fun way to find the interracial love, relationship or marriage. 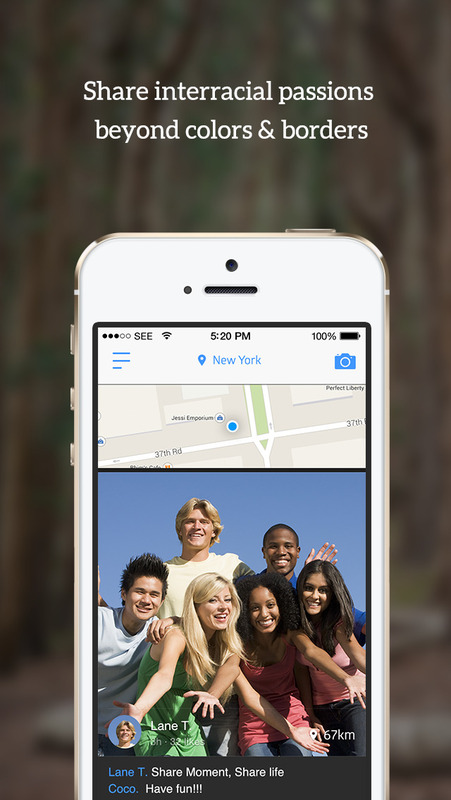 If you’re interested in looking for the people outside of your race online, the Mixy app is your first choice. Swipe right to like or left to pass. It’s like real, but better interracial and intercultural community for people to meet like-minded singles only at the interracial dating service Mixy. We have matched thousands of people from the United States, Canada, United Kingdom, Australia, France, Germany, Brazil, Singapore, Japan, South Africa and many other countries. 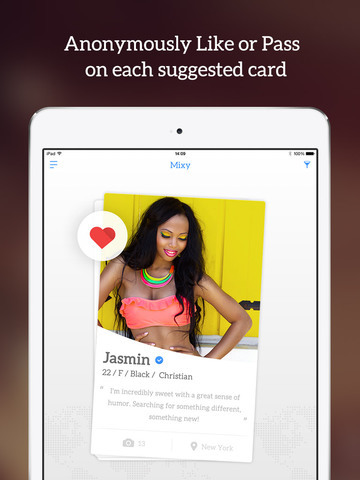 Users may scroll through profiles of others, swiping right when you like and swiping left when you feel not. 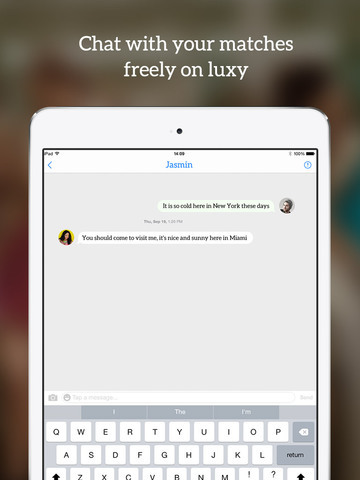 If two users "like" each other, Mixy then introduces you and sets up a chat. Users can set your preference about ethnicity, religion, country, age, etc. Then Mixy will recommend compatible guys to you based on your preferences. “Moments” lets you snap a picture of yourself doing something special that illustrates your personality and share it with all your matches. A swipe can change your life. Start interracial dating with Mixy. Mixy VIP is the premium service which allows the user to get a full membership and to access to all of exclusive advanced features. Search more compatible matches by location, verified, height and more. Own a special VIP emblem which highlights the distinguished and extraordinary. Your account will be charged for renewal within 24 hours prior to the end of the current 1, 3 or 6 month periods. Auto-renewal may be turned off by going to the user’s iTunes Account Settings after purchase. No cancellation of the current subscription is allowed during the active subscription period. Thank you for using Mixy. We’re always making improvements and fixes to our app. 2.Sending rose to the people that you’re interested in. 3.Added Topics feature. You can initial a topic to discuss or create a vote to make a survey.